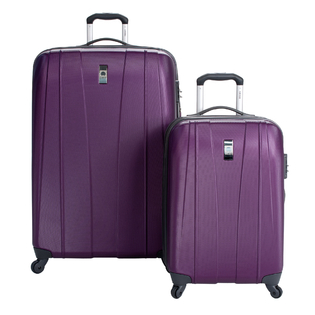 The 25" can accommodate a week of packing and the 29" is great for large trips. They're extremely lightweight and easy to maneuver. And both cases expand an additional 2 inches for additional packing. On the Outside, there's 10% Polycarbonate material making it extremely lightweight. The four 360 degrees rotation wheels assure multidirectional rolling. 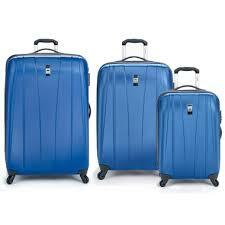 There's also recessed locking trolley handles made with industrial grade aluminum with a one button operation. 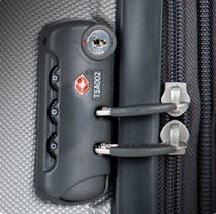 And there's an integrated 3-dial TSA-accepted combination lock. All these features found throughout the Delsey Helium Shadow collection. Available in Purple or Blue. In the Inside, there's a large open packing area for all carry-on essentials. 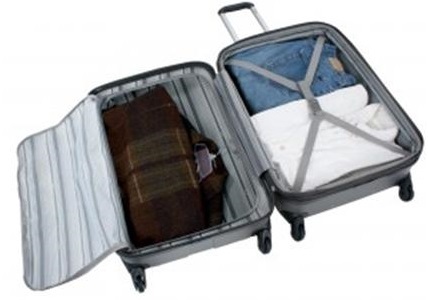 This case can accommodate a weekend of travel.